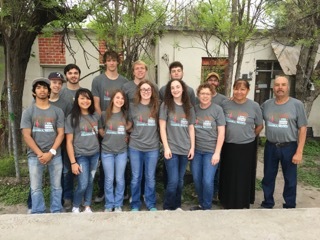 Bethel Friends Church Spring Invasion 2016 team pictures with their hosts for the week, Friends Church Pastors in Cloete, Coahuila, Mexico. To see the previous Spring Invasion Reports click here. 1. The best thing we did was help build the multi-purpose room with Pedro. 2. Best thing I experienced was the church service on Thursday night. 3. I saw God working by allowing for both the Americans and Mexicans to break the language and culture barrier and come together as one. 1. The best thing we did was that we actually were able to completely and successfully build three full walls while also doing VBS. 2. The best thing I experienced was making new friends from the other youth groups and the people of Mexico. Also, we went to a local park and played a game of basketball with people who we didn’t even know and couldn’t even talk to. 3. God was able to teach me how to work and perform tasks, that I may not necessarily want to do, without complaining because I am working for His Kingdom. 2. Best experience: Built a room with the rest of our team and met some wonderful kids. 3. How did you see God working: In the way He put everything into place and kept us all from getting sick. 1. The best thing we did was building relationships with the children who came to our VBS and building relationships with the pastor and his wife. 2. One of the best things I experienced was on the last night and all of the churches came together and the Mexican people from the churches in Mexico prayed for all of the visitors from America. Also, I loved how during that same church service there was a time where anyone could go up to the altar and commit their lives to God’s plan. 3. During this trip, I found out how in some ways America is very blessed, but in regards to loving others, sometimes we can be reserved. The people of the churches in Mexico loved us and cared for us during our short time there. I think God was trying to tell me to care for people the way the churches in Mexico cared for us and how Jesus Christ loves us. 1. The best thing we dId was the work project. 2. The best thing I experienced was the service the final night. 3. I could really feel the presence of God on Thursday night. I saw him working in the lives of all those people in that church. 1. Best thing: Forming relationships with the people. Watching the kids serve with such servant hearts…both in vbs and building the walls! 2. 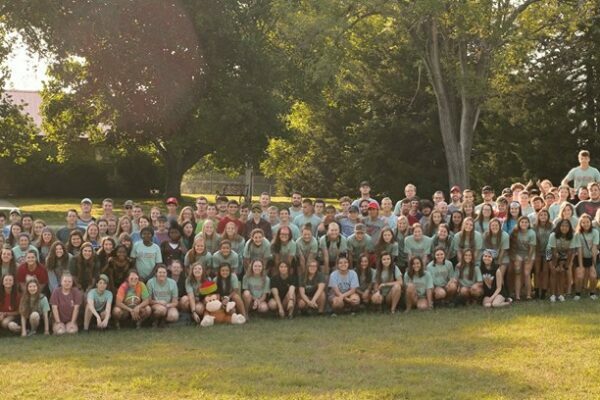 Best experience: Experiencing life/ministry with my kids and the other youth. 3. It was obvious that the Lord is working in the lives of our youth! I saw how soft our kids are to the Lord and how each one knows and understands that He has a call on their lives! There is no greater joy than to see your kids walk in the ways of the Lord! I praise the Lord for this trip as I know they were all drawn closer to Him and so was I! 1. Built relationships with the Pastor, his wife, and Pedro. 2. Worship/challenge to respond to God at Agujita on Thursday night. 3. How valuable relationships are with our brothers and sisters, many of whom we have never met and may only get a brief time to know here; also looking back and seeing how God has led and called me overseas, and that 11 years ago the Spring Invasion was the first time to experience this, but I didn’t really care about the gospel at that point, and how God has continued to woo my heart to a greater understanding even though I didn’t get it the first time I went on a missions trip, or even the second time.